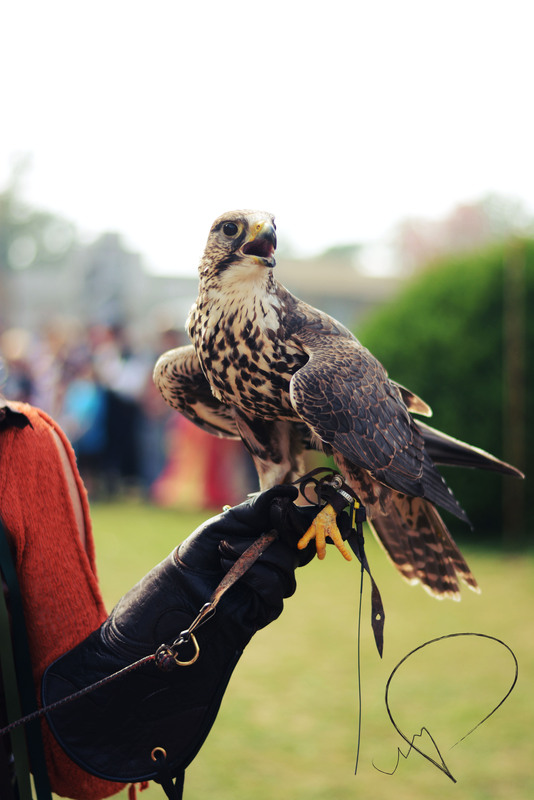 While the guy in the hawking and falconry act did the hawking tricks, the lady followed with the falcons. This cutie is the one that got to swoop around us. They also had a gorgeous white falcon, speckled with mousy gray spots.